In the not-too-distant future, eye-tracking technology will be a run-of-the-mill feature in many high-end vehicles, helping keep drivers’ eyes on the road. 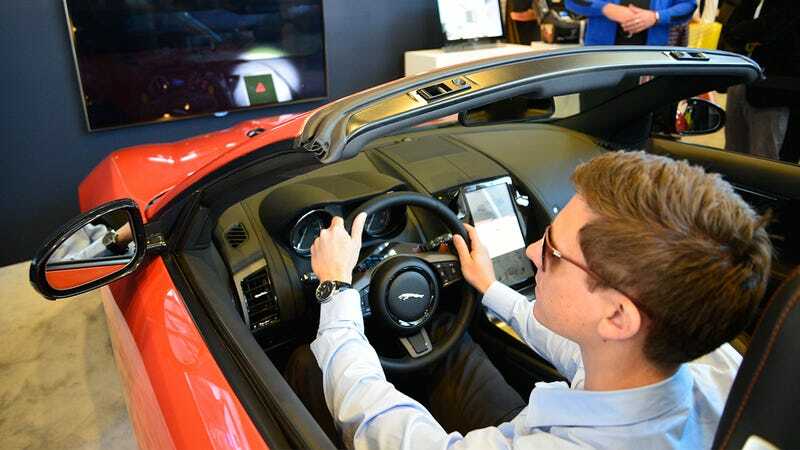 But Jaguar Land Rover has patented another use for the tech that allows cars to automatically trigger the rear window’s wiper so it’s always clean and clear when needed. The patent, as discovered by Gizmag, uses the same eye-tracking technology designed to keep a driver safe and awake. But in this case, since it’s able to determine exactly where a driver is looking (even while wearing sunglasses), it serves a more practical purpose to minimize wear and tear on a vehicle’s components. The wiper itself already has to be turned on and working intermittently, but the patented system means it doesn’t have to be running as frequently as the wipers on the car’s windshield are. And if the driver happens to glance back at the same time the rear wiper has just finished a pass, the system is smart enough to know it doesn’t need to trigger that additional wipe, and assumes the window is already clear enough.